My closest friends and family will all attest to how appropriate it is that I’m basically dedicating my first post on here to Target. But oh well, c’est la vie! During weeks like these there are a few tried and true methods that I depend on to raise my spirits. One is to go to Target. That place just gets me. I can always find things exactly to my taste there, and I find myself getting really energized and inspired when I’m surrounded by so many goods I appreciate. Seriously, there’s always something there that I want need want. This time I went in search of some Cinco de Mayo gear, but naturally I walked out with my cart lookin’ like a hot mess. I got distracted by the graduation celebration stuff, the party supplies, and the healthy choice grocery section. 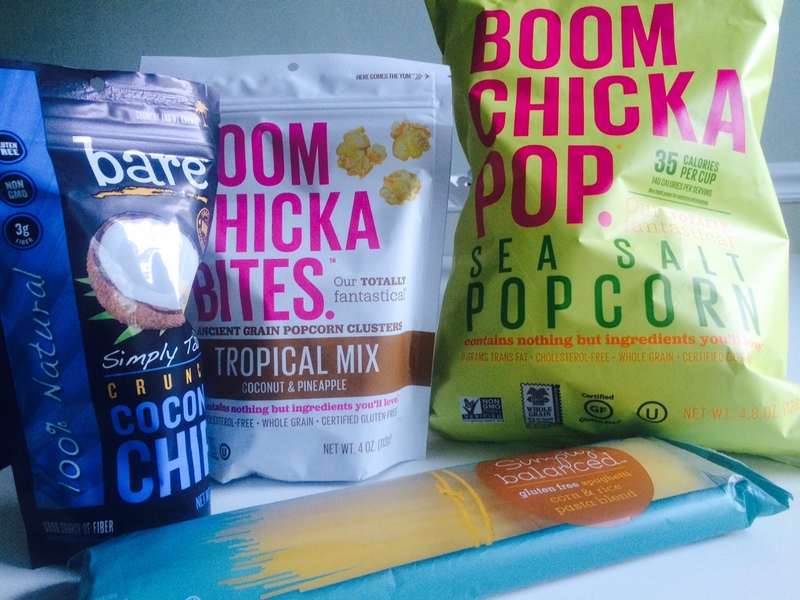 Nothing like some Boom Chicka Pop popcorn, dried coconut flakes, and gluten free pasta to inspire you to make good choices, right? Besides, how can anyone resist that packaging?! I’m a marketing major’s dream target. One of my favorite ways to incorporate some color into my every day life is by straws. A bright, colorful straw just makes an otherwise boring iced coffee so much more fun! And I don’t know about you, but when things are prettier they taste better too. I’ve been having a major love affair with light purple so I restocked my supply with these beauties. They go so well with these itty bitty cupcakes, and the color scheme as a whole is really working for me. This is my first attempt at integrating a little more purple into my home, and needless to say I’ll definitely be adding more! 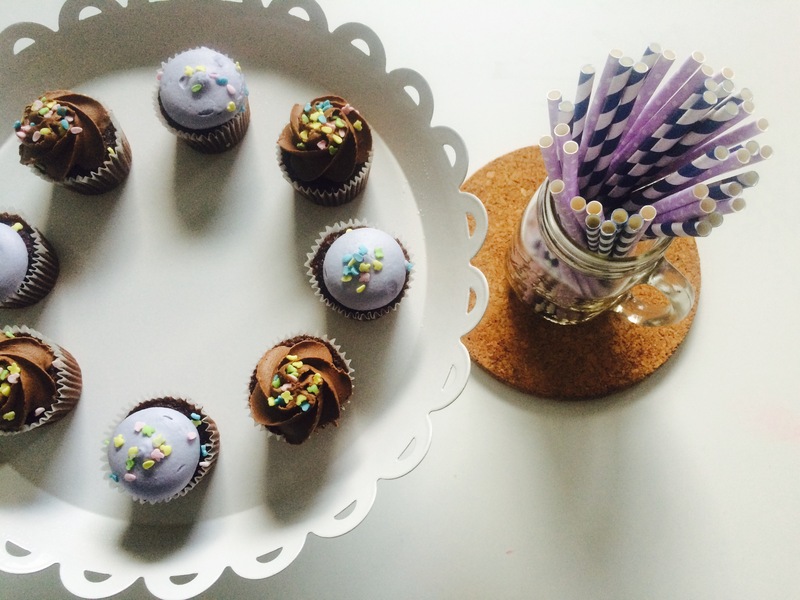 Then again, cupcakes are always pretty. 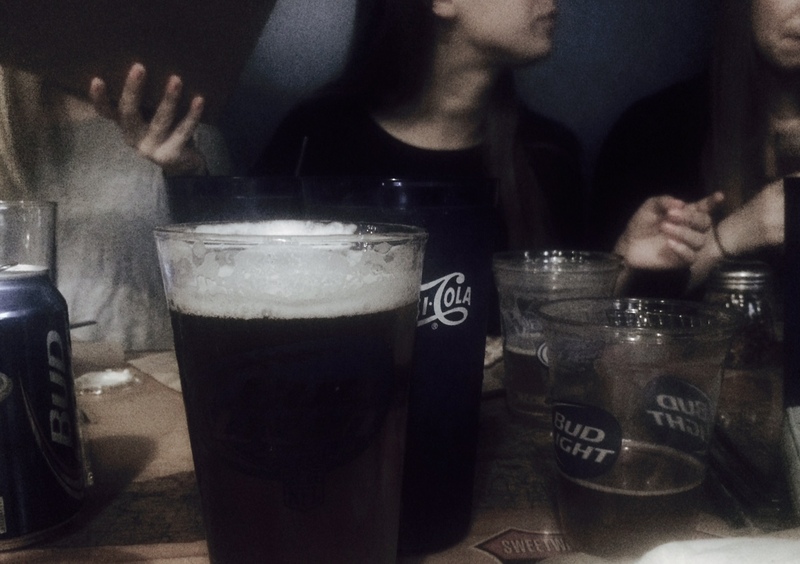 Aaaaand another dependable pick-me-up: dollar drafts at my school’s local pizza joint with some of my best friends. Here’s to the weekend finally being around the corner!